into these 3 categories: Give/ save/ spend. 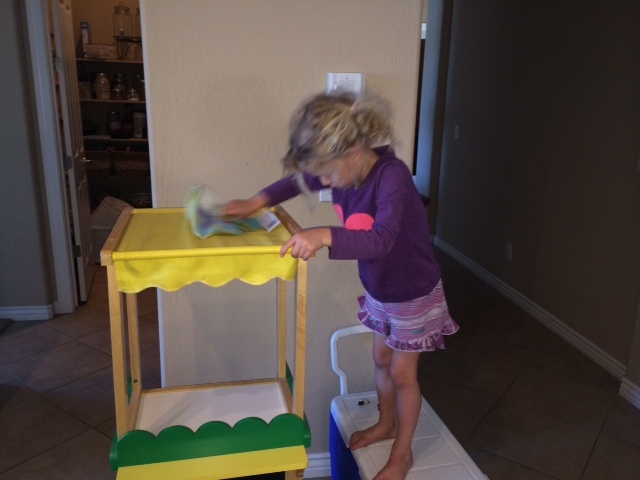 You see, Hadley is 4 1/2 years old and wants to help others. 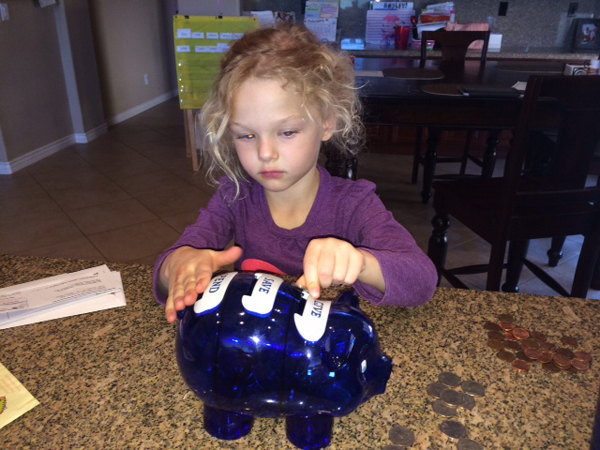 As her Mom and Dad, one day we asked her what she wanted to do with her “give money.” She replied, “I want to buy healthy food for kids that don’t have any”. We said, “Ok, how can we do that?” Hadley said, “We can buy fruits and vegetables and pass them out at the food bank, not the money bank” (Previously we had toured a food bank and made a food drive donation last year). Thinking there had to be a better way, we researched online what options were out there and found Growing Together Giving Garden. We presented it to her and she was all in! She was excited about the possibilities to be able to grow healthy food for kids. We emailed Growing Together and they made it so easy and welcoming to Adopt-a-Bed this spring. A few weeks later, Hadley’s Harvest was born! We explained that she would have to save up the money to have her own garden bed, so she decided she wanted to earn the money. 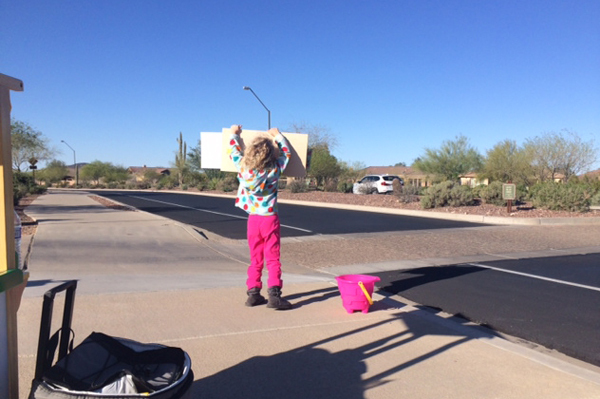 We asked how she would earn it and she said, “I can set up a lemonade stand.” Knowing it took a little more resources, we explained to her how to ask for help to get the goods and supplies donated. She made a list and requests for donation. The great people at Anthem Fry’s and Cave Creek Costco donated $15 and $25, respectively. We told her that 100% of the lemonade profits could go to the cause (We don’t know if she full grasps that concept, but it was a start). We gave her options of locations to set up the stand, what to sell and how much to sell. 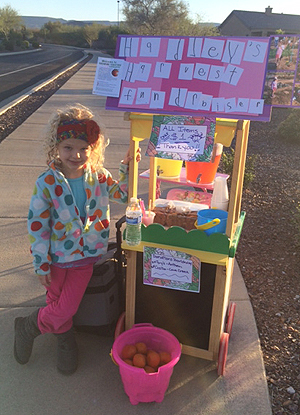 Hadley wanted to sell the little orange Cuties to provide a healthy option, and she did the rest (with support from us of course). set up an hour earlier than planned. 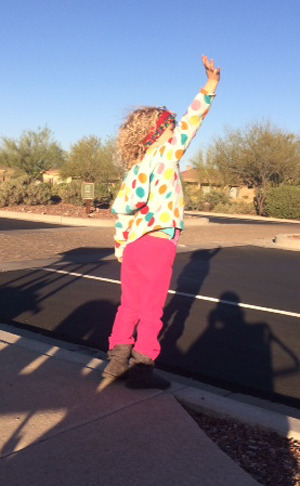 We raised $100 in 4.5 hours (Funny, because she just turned 4 1/2, which was our goal). There was no way did we think we would raise the entire amount in one day! She didn’t want it to end and asked if we can do it again. We explain to her that she did met her goal, however, she said “but if I raise more I can give more.” So, we are in the planning stages of our next event. Back at the garden, after planting tomatoes seedlings and squash seeds, we asked Hadley how it made her feel. She said, “My heart feels good, can we do it again?” She also learned about composting and added some to her bed to give it a vitamin boost. She thought Rocky, the Recycle Dog from Paw Patrol, would be proud of her. and help her make her dream a reality. Hadley’s favorite vegetables are kale (our favorite salad is kale based) and broccoli. She loves her juice (spinach, apple, celery, carrots, freshly made in our juicer). Apples are her favorite fruit, although she has tried everything from dragon fruit to lychee. She wants to be a veterinarian when she grows up, but said she wants to always have a garden at her house so she can have healthy food close by.